This article is about the Best TECNO Smartphones in the market right now. Because there are so many TECNO smartphones to buy on Jumia, it is difficult making the right decision. TECNO is known for pioneering the affordable midrange Android saga in Africa. Even after a couple of years, the company is still dominating Africa’s technology industry. It might be a little bit overwhelming to choose a good TECNO smartphone to buy. But don’t worry, I will be listing the 20 best TECNO smartphones to buy on Jumia. High in demand! This dual sim enabled device has over 1000+ successful sales on Jumia. It has 16GB internal storage, 13MP rear camera and 5MP selfie camera, making it one of the best TECNO smartphones to buy on Jumia. TECNO Spark 2 is TECNO’s second generation Spark device and the successor of last year Spark K7 smartphone and Spark k9. The Spark 2 was launched in Lagos Nigeria on the 8th of June 2018 and you can pick up one for yourself straight away. One of the major highlights of the device is the trending full view display which dishes out an 18:9 aspect ratio. Apart from the screen, there have been major improvements in the design language, camera and battery department as well. Let’s check the specs below. Where To Buy TECNO Spark 2? It's available on Jumia. The TECNO Camon X is a major improvement from the last year’s camera champion, Camon CX and according to Tecno, it offers 30% in camera and performance. The Camon X comes with the latest customized Tecno Mobile user interface, HiOS 3.3 with features a lot of new features like a facial recognition system, called Face ID. Another feature present is night mode which first debuted on the Phantom 8 but has now been greatly improved. Check out the key specs. Camon X Pro is the advanced version of Camon X and it features a 24MP front selfie camera, which is 4MP higher than the regular Camon X but retains the same 16MP back camera, same as X. The sensors, body size, processor, screen size and even the battery remains the same. Let’s check it Key specs. This is an update to the Pouvoir 1 budget smartphone that was released two months ago by the company. The new device has the trending Face ID feature, bezel-less display and runs on Android 8.1 Oreo. Just like its predecessor, it packs a massive 5000mAh battery that promises up to 96 hours on normal usage. Let’s find out more. TECNO POP 1 also known as TECNO F3 and was launched alongside the Camon X and Camon X Pro by TECNO Mobile. The device is the advanced version of the F2, hence having a code name “TECNO F3”. Looking totally different from the F2 in terms of design and dishing out a full view display. Perfect for those on a budget who want to experience the bezel-less hype. Well, let’s see what the TECNO POP 1 has to offer. Where To Buy TECNO POP 1? This device sports a FullView display with an 18:9 aspect ratio and is TECNO’s phone with a full view display. Being a Camon smartphone you are getting a 13MP front and back camera which deliver great camera experience. The new Camon CM is a beauty to behold and slim as well, measuring 7.75mm slim. The device sports a rear fingerprint scanner and a horizontally placed rear camera and Quad-LED Flash at the top left. Below are the key specs. The TECNO Phantom 8 is TECNO’s current flagship device for 2017 and no doubt one of the best TECNO Smartphones with a great camera. Its diamond fire body is an exquisite beauty and one of the best TECNO smartphones you can get till date. It has a dual rear camera with exceptional photo quality, In fact, if photography is your thing, this is a perfect device for you. It has 64GB internal storage and 6GB RAM. Though its a much-downgraded version of the Camon CX, it also takes impressive shots and sharp selfies thanks to its 13MP camera at the back and at the front. The Camon C7 also gives true value for money, in fact, the TECNO Camon series are wonderful and brilliant smartphones. This phone has been in the market for some time now but when it comes to the camera, you still get 13MP at the back and at the front. The Camon series are the best TECNO smartphones to buy at the moment. The Camon C9 has amazing specs and boasts of 13MP selfie camera, 13MP rear camera and 3000 mAh battery. Despite having the same camera configuration with the C7, the Camera on the C9 is far better than the C7. The Camon C9 Plus is an upgraded version of the Camon C9. It has 3GB of RAM together with 32GB of internal storage. Asides these, every other spec remain the same. So if you care for a good camera phone with plenty of RAM at an affordable price, the Camon C9 Plus will be your perfect device. Phantom 6 Plus might sound old to you, but it is still one of the best TECNO smartphones around with its deca-core processor,4050mAh battery, 64GB internal storage, 4GB RAM, 21MP rear camera, you won’t go wrong picking this device up as your daily driver in 2018. TECNO W5 is an amazing smartphone with 4G LTE and other nice specs. It has 16GB internal storage, 13MP rear camera and 5MP selfie camera. The L9 Plus is nicknamed Power because of its massive 5000mAh battery with fast charging feature. It also boasts of 16GB internal storage, 2GB RAM and 13MP rear camera. If the reason you buy a phone is the battery, TECNO L9 Plus is among the best TECNO Smartphones you should consider getting. The TECNO Phantom 6 boasts an impressive AMOLED display with a 10-point touch panel. Despite being a year old device, the Phantom 6 is still one of the Best TECNO Smartphones out there. You also get a dual camera set up, 3GB of RAM and 32GB of storage. Check out the rest of the specs. This is quite a long list, the TECNO Pouvoir 2 Pro is no doubt one of my favourite devices on this list of best TECNO Smartphones because it ticks all the necessary boxes, You get a 3GB of RAM for Smooth multitasking, 5000mAh battery that can last up for 2 days of normal usage, 13MP camera and 4G LTE connectivity. Let’s check the rest of the specs. Where To Buy Tecno Pouvoir 2 Pro? We have come to the end of this article-the 20 Best TECNO Smartphones in the Market right now. There are so many TECNO smartphone in the market right now, I hope this list will help you make a buying decision. 3 years ago, Netflix introduced its download feature for offline viewing, letting users download content and view it offline. The feature has been massively accepted all over the world by customers that depend on it to have fun watching their favorite shows even when they cannot access the internet. 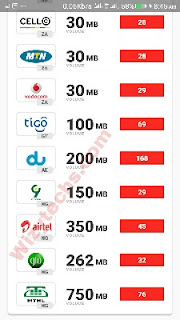 It is also a feature users that do not have unlimited data plan on their mobile device or customers in areas where WiFi charges are too costly like expensive hotels battle it from time to time. Sadly though, the Netflix’s download option has its disadvantages as well. This is something those already making use of the feature must’ve noticed by now. 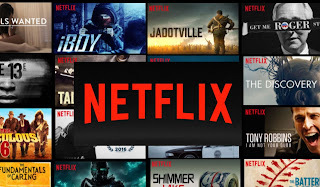 If you download a lot of films and TV series, you can actually encounter the Netflix yearly download limit error, and i am writing this to teach how to find your way around it. WHAT EXACTLY IS THE NETFLIX DOWNLOAD LIMIT? Even if the platform lets users download films to view offline, at some point, you will face a limit which prevents you from further downloads. The Netflix support page says a user can download just 100 Titles of one device at any point in time. Anything more than that, you will see the error stopping any more downloads. Also, you can download titles on one, two or four devices at any given time but this will be according to your Netflix subscription plan. 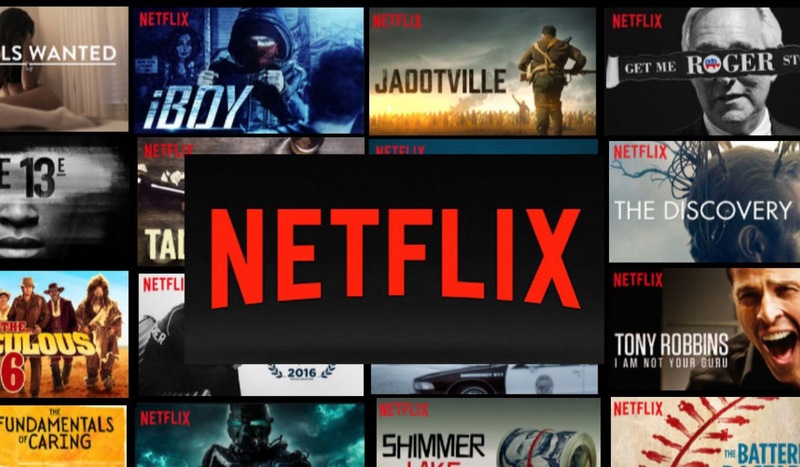 The download titles can also expire, but that changes from title to title and it will be according to the licensing agreement between Netflix and the owner of the title. Customers will know about an upcoming expiration of download just one week before the D-Day. If any downloaded content is taken out of the platform, the download expires instantly. WHY NETFLIX HAS A DOWNLOAD LIMIT? Despite the fact that Netflix has a lot of original contents, it still has other materials licensed to it from other content creators. 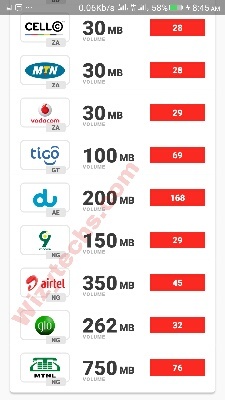 So, the limited download is as a result of these license holders and it changes from title to title. Neflix will not even disclose the download limit set on every title, and customers only get to know about download limit when there is one final download remaining. If you attempt to download a clip and Netflix tells you that you have too many videos, getting rid of older downloads before you can continue with the present download is the only way out. To delete older downloads, head to the download section inside the Neflix app on Android, iOS or Windows 10 and choose the titles that you plan to download. The platform lets you get rid of all former downloads simultaneously to ensure there is adequate space which will immediately grant you the chance to download lots of titles at a go. If deleting older downloads is proving difficult, the Netflix Support Page touches on fast and simple guidelines on how to delete old downloads on Netflix for iOS, Android and Windows 10. If you intend to avoid the complications that comes with maintaining the downloads clips on your phones, the Netflix Smart Downloads can do bits with this. It was released for Android devices around January this year. What it does is, automatically download the next episode of a TV series you are viewing as long as you are WIFI enabled plus it also gets rid of the older episodes you have already viewed. Sorry, iPhone and iPad users, but Netflix Smart Downloads can only be enjoyed by Android users right now, and it only functions with TV shows. You can turn on the Netflix Smart Downloads feature by going to the Downloads tab and clicking on the Smart Downloads option. Be aware that Smart Downloads will only work as long as there are more episodes to download in your TV series. If there is no more left, the previously viewed ones will remain intact. If you get to your maximum download limit for a specific clip, you can stream it online, but it cannot be downloaded. Until a few years ago, defragmentation was one of the most widely used methods to make a computer perform better. Although this is currently less important than in the past, file fragmentation on the disk can still, in the long run, make your PC extremely slow. In these cases, excessive disk fragmentation prevents the operating system from accessing files and information on the hard disk quickly and efficiently. What can be done in these cases? In addition to the special tool available with almost any version of Windows, there are also third-party software that helps in this regard. But before going into this, it is good to understand what is meant by disk fragmentation. Saving data on the computer’s hard disk is a procedure that does not occur linearly. The archived data must gradually occupy the free space on the disk. Often, therefore, it also happens that a single file turns out to be too large and is, therefore “unpacked” and redistributed in different sections of the hard disk, perhaps physically very distant from one another. As it is logical, in the long run, this can create slowdowns in the functioning of the computer. If to read the same file (or anyway the files of the same program), the head has to physically cover large spaces on the hard disk, the loading times are greatly affected. If you install and uninstall many programs or in any case after months and months of use of the computer, defragmentation is therefore recommended. During this particular operation, the hard disk is analyzed in all its surface and the various files are reorganized to bring back some order. 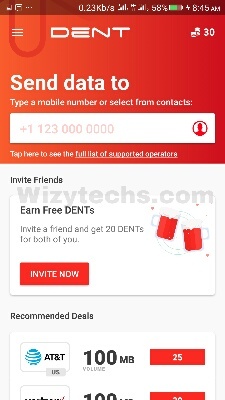 In this way, the access times to the various files will decrease considerably and the speed of the device in use could benefit not a little from this. Fortunately, Microsoft developers accompany each new operating system with a tool that is suitable for the purpose. To defragment directly from Windows, simply click on the Start button and, in the search field, type the word Defragmentation. Regardless of the version of Windows, something should appear that sounds similar to Defragment and optimize drives (Windows 10) or Disk Defragmenter (previous Windows). By clicking on the instrument in question, it is possible to have a general overview on the status of the fragmentation of the disk (or of the multiple disks/partitions) present. Why Don’t You Need To Defragment On MacOS? Even MacOS provides procedures to fight disk fragmentation. The operating system created by Apple periodically groups smaller files and places them in memory spaces suitable for their size, defragmenting the disk. At the same time, the same OS integrates the Hot File Adaptive Clustering function, able to find open files with a greater frequency, moving them to a memory location that allows a faster execution. To this, macOS integrates numerous other useful functions to counteract the fragmentation of files on the disk. When Is It Still Convenient To Defragment? Nowadays this operation is only recommended for a particular user niche. Who uses a rather dated version of Windows with mechanical hard drives, still needs to defragment with a certain consistency. In some cases, even in the mobile sector, this operation can be useful. Below we will report some software that, in different contexts, can be a more than a valid tool for defragmentation. Free and space-saving, SpeeDefrag is an app to support Windows utilities. In fact, it allows to make defragmentation faster by closing all the processes in operation that hinder the procedure. Very useful as a support for those who still use defragmentation using Windows tools. This is an app developed by the guys from Piriform, already known to Ccleaner. It is a very functional software, as well as free and simple to use. Defraggler can concentrate its activity on folders or even specific files. In addition, it checks for errors on HD, empties the recycle bin before starting its work and can also exclude some specific files from defragmentation. Smart Defrag is an alternative that allows you to plan automatic defragmentation, in addition to proposing some extremely advanced specific functions. Also, in this case, it is possible to exclude files and folders from the analysis, excluding the defragmentation of files that exceed a certain size. Disk Speedup is able to operate on files not only of entire disks but also of individual folders. It also supports automatic defragmentation when the system remains idle for a certain number of minutes (a very useful option to take advantage of the time when the computer is on but not working). This is a free app although care must be taken: during installation, the installer may try to install other unwanted software. With Toolwiz Smart Defrag we rely on a small and simple software, which prefers practicality to frills. According to the developers, this tool would be about 10 times faster than the default Windows tool. Surely this is a very quick and practical tool to perform this task. Available both as an installable file and in Auslogics Disk Defrag portable mode, it works to arrange system files in areas that are easier to reach than HD. This allows for considerable advantages in terms of computer performance. Among the various tasks performed by the app, there is the possibility to check for errors on a partition with the chkdsk command, to optimize a hard disk, to exclude files or folders from defragmentation and much more.